Precious metal clay, also known as PMC, is a crafting medium that originated in Japan in the year 1990. Developed by metallurgist Masaki Morikawa, PMC contains tiny particles of metals such as copper, bronze, silver, or gold that are mixed with water and an organic binder. These clays can be used in making such items as small sculptures, jewelry, and beads, and can be shaped by hand or used with molds just like any other soft clay. The type of metal used in the clay will determine if the firing process will involve a kiln, handheld gas torch, or a gas stove. During the firing process, the binder that was added to the clay will burn away, and pure sintered metal will remain. How is Precious Metal Clay Made? PMC is made by taking microscopic particles of precious metals such as pure silver or fine gold powder and combining them with a non-toxic, water-soluble, organic binder. The binder burns off when the clay is fired and shrinkage occurs in the clay so that only the sintered metal is present in the finished product. There are five different versions of PMC. These include Original PMC, PMC+, PMC3, PMC Sterling, and PMC PRO. Original PMC provides more shrinkage and has very light density, making it the perfect choice for such items as very large earrings. This is also the best formula to use for texture transfers. PMC+ is stronger and denser than original PMC and resists breakage, making it an ideal choice for items such as rings or buttons. This version fires quickly and is available in a paper form suitable for fold-form style projects. PMC3 is the strongest fine silver metal clay on the market when fired at temperatures of 1650 degrees for a period of two hours. This clay is very versatile while in the clay state and it has low-fire attributes that make it ideal for use with glass and gemstones. PMC Sterling is stronger than fine silver PMC after it has been fired. This clay provides a longer work time for projects that involve joining or carving. This formula is ideal for items such as rings, projects with delicate designs, and items with functional components that receive a great deal of stress. PMC PRO contains 90% silver and 10% copper and becomes very strong once fired. This is a good choice for use in making jewelry pieces such as rings and bracelets. This clay, like the sterling version, provides longer working time in the clay state, making it good for pieces that involve carving and joining. 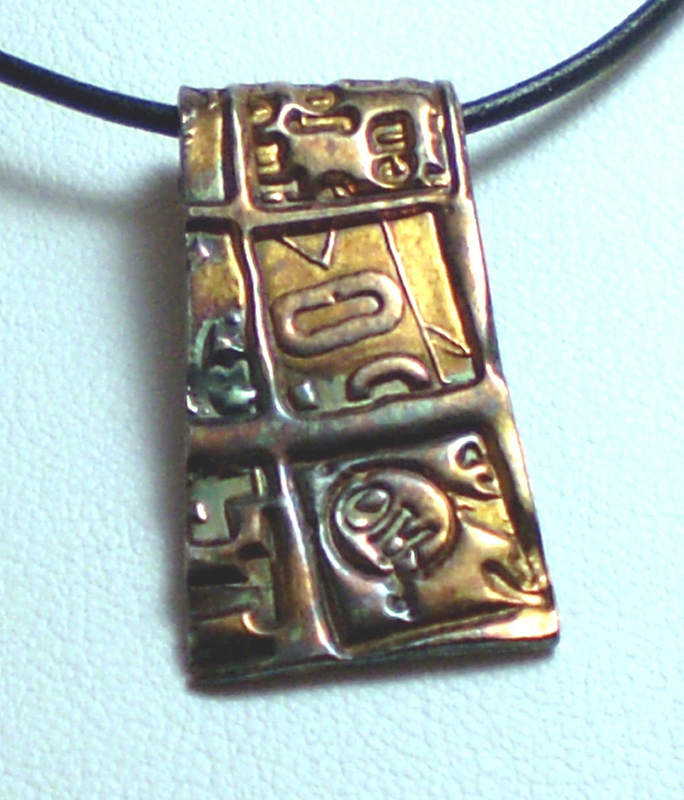 Precious metal clay can be fired in a kiln, torch fired, or gas stove top fired. For firing in a kiln, the clay object should be placed upon a heatable tile and nestled in a bed of alumina hydrate. Objects should be heated at the proper temperature for the type of PMC used, for a period of at least two hours. For torch firing, the clay should be allowed to dry overnight, or else remove the excess moisture by using a hairdryer or slow oven. Pieces to be fired should be placed upon a fire brick placed on a fireproof surface. Hold the torch about 3/4 of an inch away from the piece. You will first notice a soft flame as the binder burns off, and then the piece will begin to glow red. After reaching a bright, luminous color, maintain heating for about 10 minutes. Allow piece to cool until it is no longer red, at which point it can then be quenched. If using a gas stove top, place some stainless steel mesh over one of the burners, then turn the burner on and take notice of the spot of mesh which glowed the brightest. Next, turn off the burner and carefully place the piece to be fired on that brightest spot and set the burner to low. The piece will begin to smoke as the binder burns off, and when this is done, the piece will turn bright red. Set a timer for 10 minutes and use extreme caution when removing both the piece and the mesh from the stove top. Put on a fireproof surface that can handle high temperatures and allow to cool. When any precious metal clay is fired or cured, shrinkage will occur. After firing, using any method, the clay will shrink to about 70% of its size. This is because the other 30% was the water and binder used in the clay mixture. Both water and binder will turn to vapor and disappear completely during the curing process. All shrinkage is proportionate, so all designs and details in the piece will remain as the entire piece will simply come out smaller than it went in. 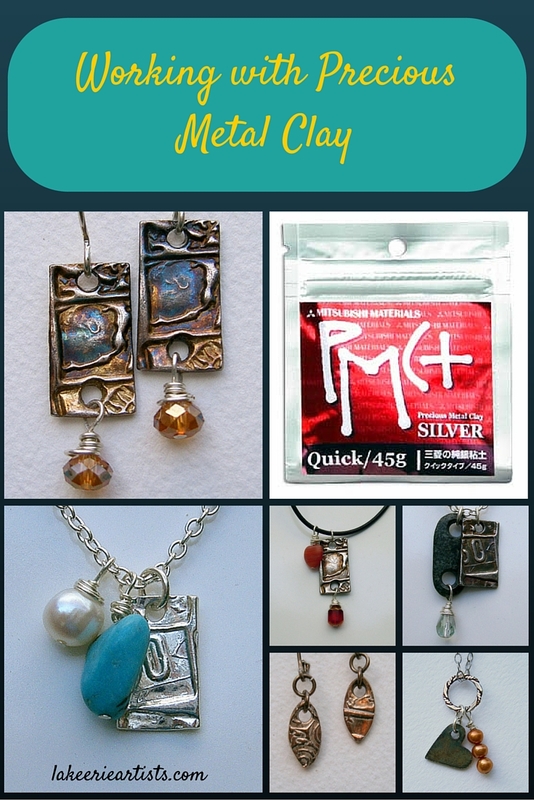 Much like PMC, Art Clay Silver is another brand of an easily shaped clay-like material that fires at a low temperature in a short amount of time, leaving behind an object consisting of pure metal. Silver clay contains tiny particles of gold or silver along with water and binders. This clay does not require the use of a kiln for firing, and can be cured using a blow torch or gas stove top method. Bronze clay is an affordable metal clay option that can easily be rolled, sculpted, pinched, and manipulated in its clay state. After being fired in a kiln, the bronze object can still be easily sawed, drilled, painted, soldered, or sanded, allowing great flexibility for jewelry makers and artists. This clay requires embedding in a sealed vessel of activated carbon during the firing process. Much like the bronze clay, copper metal clay allows the artist to easily manipulate the clay in a variety of ways. Copper is also a very economical choice to use, and can be a good choice for use in large sculpted pieces. Like the bronze clay, this clay must be placed in a sealed vessel with activated carbon during the firing process. The basic tools and supplies needed for working with metal clays include anti-stick products, clay shapers, blades, palette knives, tweezers, sanding tools, filing tools, rollers, needle tools, and more. Artists will also need to invest in work surface for their craft, and may wish to own their own kiln or blow torch for the firing process. For more advanced work, items such as special carving tools for unique designs can be used, as well as lettering tools and other creative products that allow the artist to create various textures and designs on the pieces. Everyone from jewelry makers, to dollmakers, to beadmakers, and other artists are using PMC in their work. It is used in making everything from jewelry and jewelry components to beads to small sculptures.